According to The Wall Street Journal, the long-rumored 8-inch iPad is actually real. The so-called “iPad Mini” has been talked about for months now and here is out first real insight about the device. This rumored device has had people wondering when, or if, it would ever come out, thinking that Apple would respond to Amazon’s Kindle Fire. The rumor has just been a typical rumor for a while now, but now WSJ has more info on the alleged device. “Officials at some of Apple’s suppliers, who declined to be named, said the Cupertino, Calif.-based company has shown them screen designs for a new device with a screen size of around 8-inches, and said it is qualifying suppliers for it. 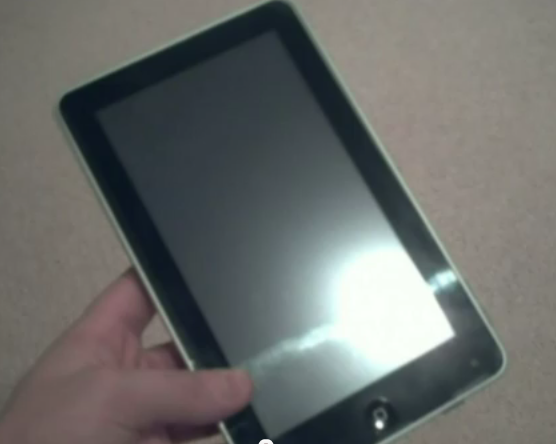 Apple’s latest tablet, the iPad 2, comes with a 9.7-inch screen. It was launched last year. Apple, which works with suppliers to test new designs all the time, could opt not to proceed with the device. Apple spokeswoman in California declined to comment. The move comes as Apple is preparing to announce a new iPad in early March, according to people familiar with the matter. That device is expected to have a higher resolution screen than the iPad 2 with a similar screen size, according to people familiar with the matter. A version will run on fourth-generation wireless networks from Verizon Wireless and AT&T Inc.
A smaller tablet device would broaden Apple’s portfolio and help it better compete with rivals such as Samsung Electronics Co. and Amazon.com Inc. It would also begin to emulate the strategy it took for its iPod music player, which it released in a number of shapes and sizes over time. The company has taken a different tack with its iPhone, releasing one design at a time. Apple is expected to unveil its next iPad on March 7th, with reports claiming that the tablet has been in production since January. If Apple hasn’t started producing these alleged 8″ iPads yet, then it could possibly be months before we see the unveiling.